Twin Hill Apple Ranch has operated as an apple production facility and community hospitality center for 70 years. It was sold in January 2014 and will operate as Twin Hill Vineyard LLC. The new owners are involved in food processing equipment and sales, and were looking for a unique site suitable for building a winery and farming Pinot Noir and Chardonnay. The property is 21 acres, with 5 acres of vineyard and 7 acres of apple and citrus orchards. The new owners' plans are to convert 3 acres of apples to Pinot Noir and Chardonnay and farm the vineyard and orchards organically. 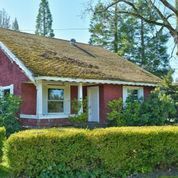 Much renovation will be done to the property's multiple residences, as well as re-purposing the historic apple production facility for winemaking. The project will be managed by Sebastopol resident and UC Davis Viticulture and Enology Masters alumnus -- and property co-owner--Max Reichwage.